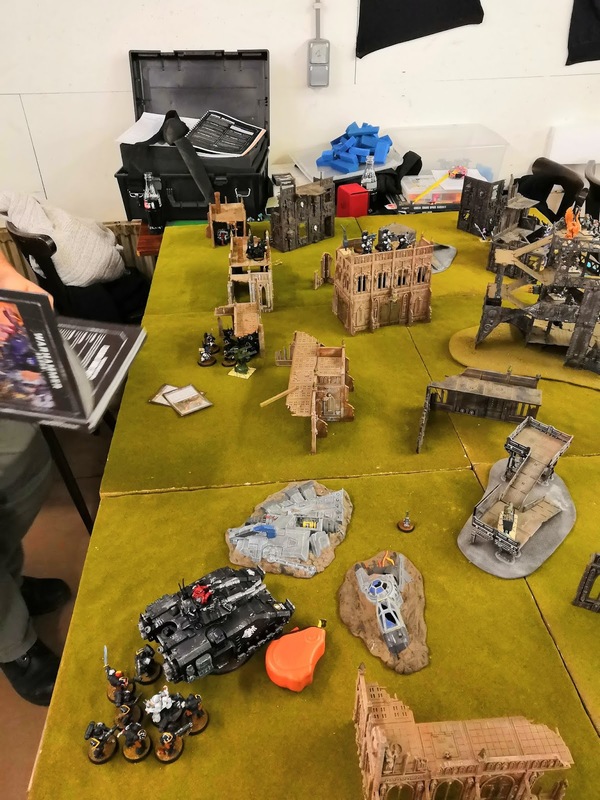 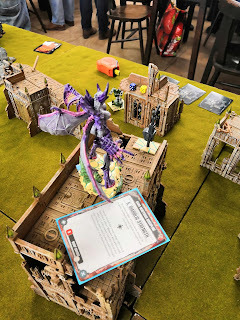 I am currently running a 40k League over at the club, TSA, and tonight I descended my ivory tower and finally gotten to play my first battle. 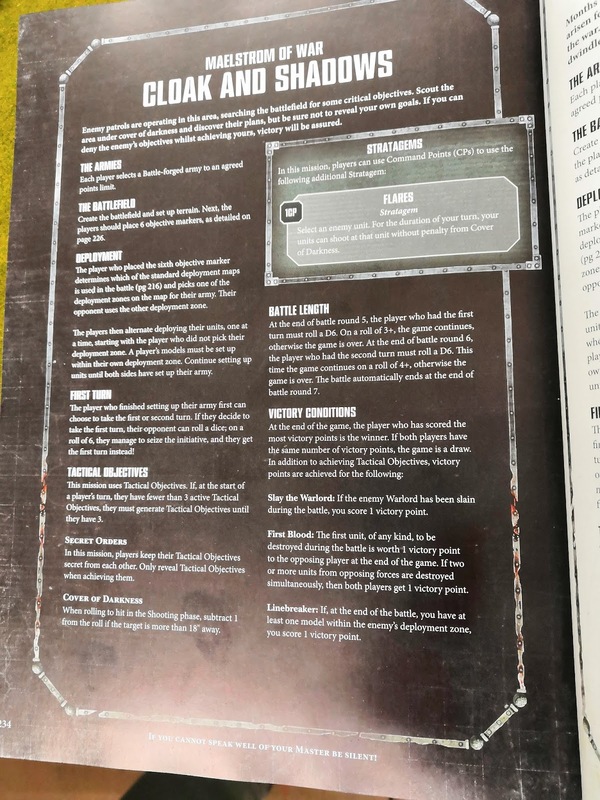 Opposing me was Sven and his Ravenguard, a guy I know for over a decade, but for some reason this will be the first time I play him in a game. I brought along some units I hadn't used before, like my large unit of close combat marines and my Sonic Dreadnought. 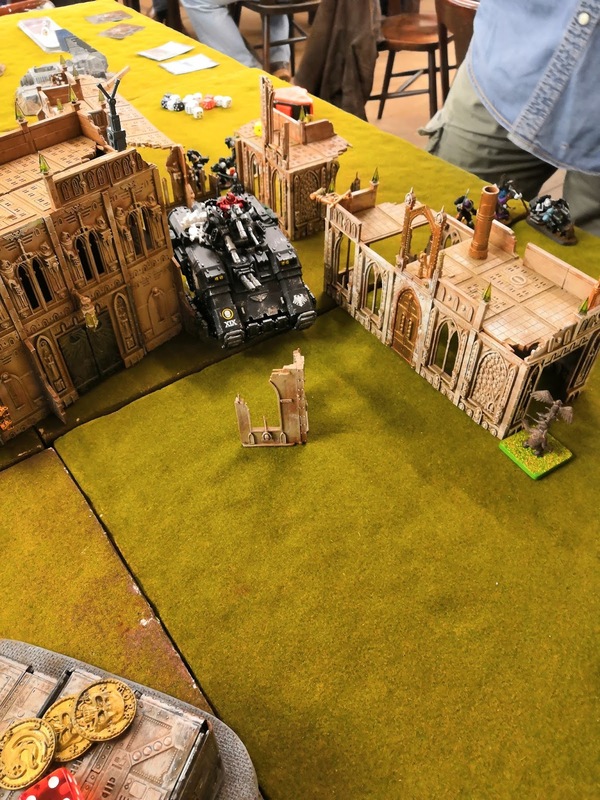 The characters where a Warlord, a Dark Apostle and my Deamon Princess. 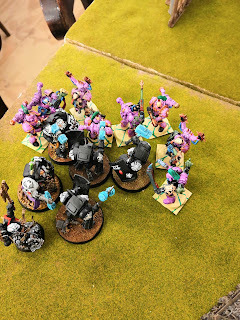 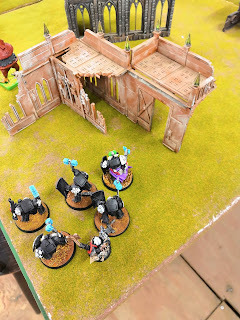 Other units where 10 Heretic Marines, 10 Noise Marines and 10 Cultists, supported by two Rapier Quad Bolters and a Spawn, while 5 Warp Talons awaited in the Warp for a deep strike. 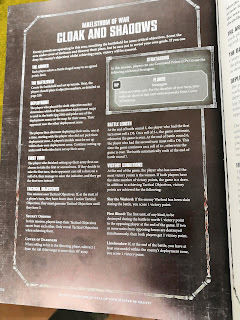 Opposing me stood a captain on a bike, a handfull of various characters, a Repulsor carrying an Intercessor squad, two squads of Terminators of which one would infiltrate and the other would teleport in together with a Chaplain, a small tactical squad, a squad of scouts and a thunderfire cannon. 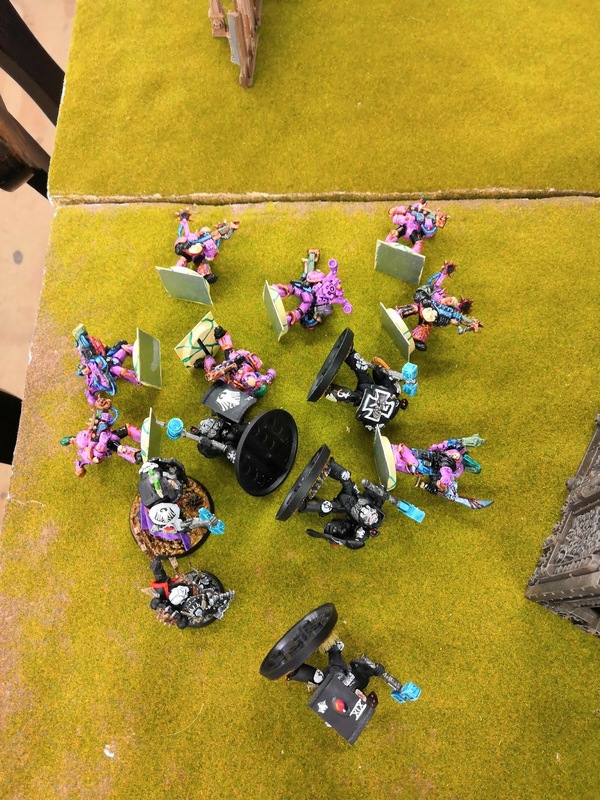 With his Terminators deployed so deep, my Daemon Princess rushed forward and assaulted. Powered by Diabolic Strength, she made short work of the Terminator squad, but this also meant she was now marked for death. In his first turn, the lascannons of the Repulsor together with a Smite removed her from the game. Both forces advanced towards his other, his Intercessors deploying on my flank near the Noise Marines. But I had scored Blood and Guts and First Blood, grabbing me 2 points and a 0-2 lead after the first turn. Both forces started clashing on the flank, as his Intercessors where decimated by the shooting from the Noise Marines and the following close combat. 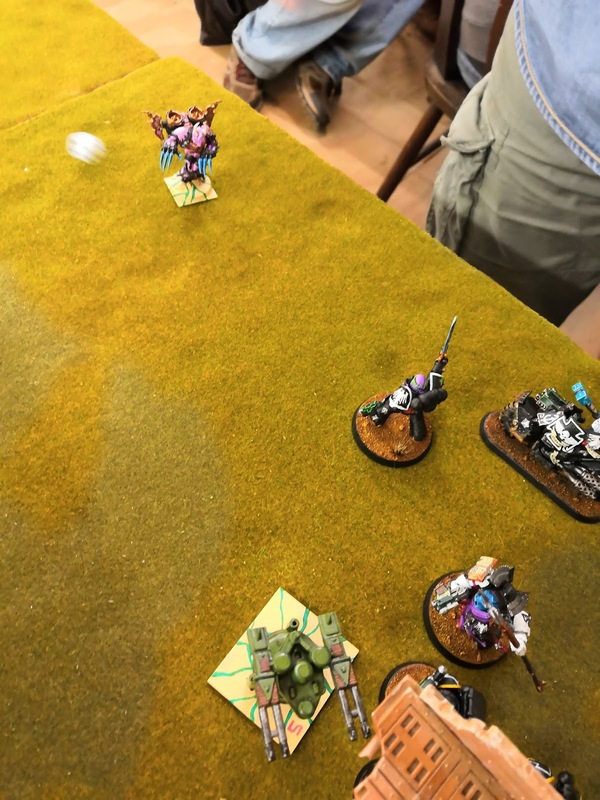 The Warp Talons arrived at his back, but failed their charge and in Sven's turn where totally shot to pieces. 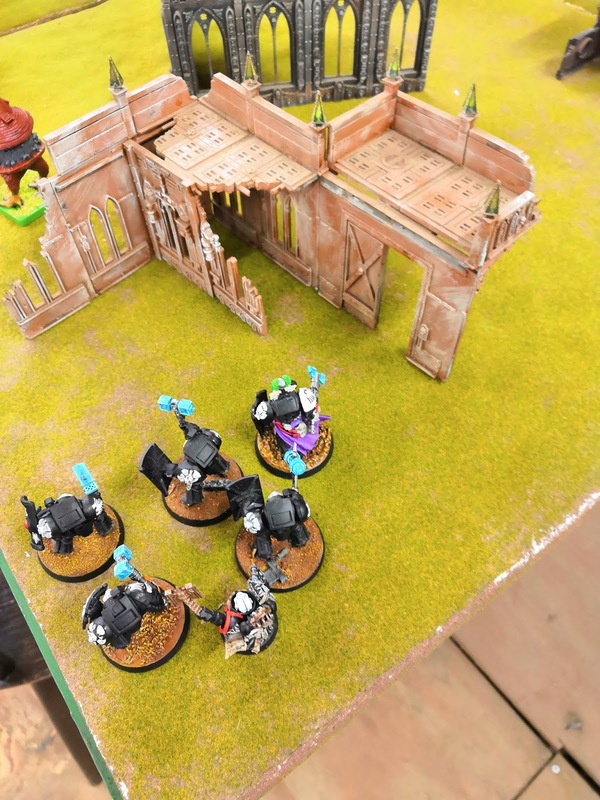 His teleport strike in the meantime resulted in the Chaplain and Terminators arriving behind the Noise Marines. They charged and smashed my Warlord to pieces before he could do anything. 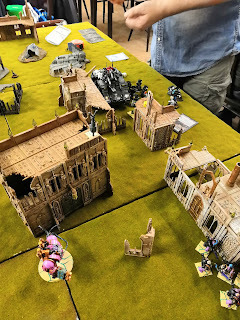 The forces now clash in earnest, as my close combat troops unit swarm and slaughter the scouts hiding on the building, then consolidating in the direction of the Thundercannon. 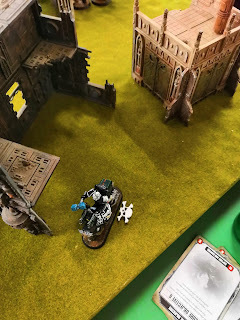 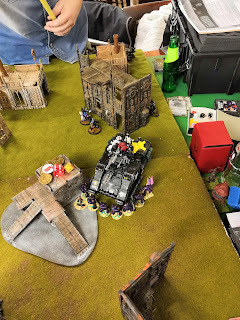 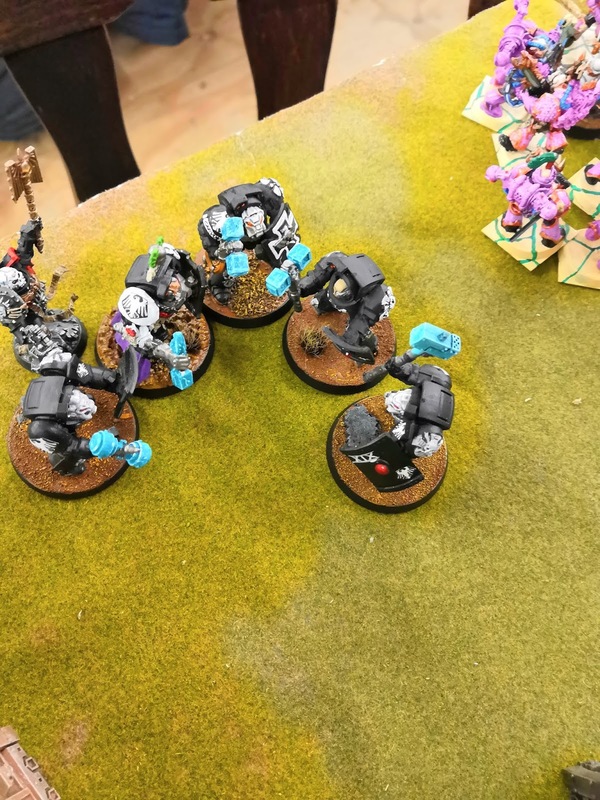 The Noise Marines and Terminators duke it out, stratagems and skills resulting in near annihilation of both sides as only the Chaplain and a single Terminator remained standing. The Blastmasters on the Sonic Dreadnought fired and killed the Techpriest of the cannon, while the Chaplain and Terminator assaulted the Spawn. 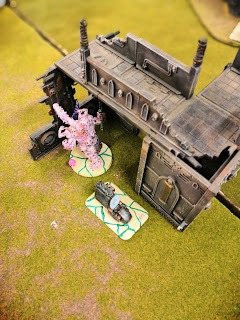 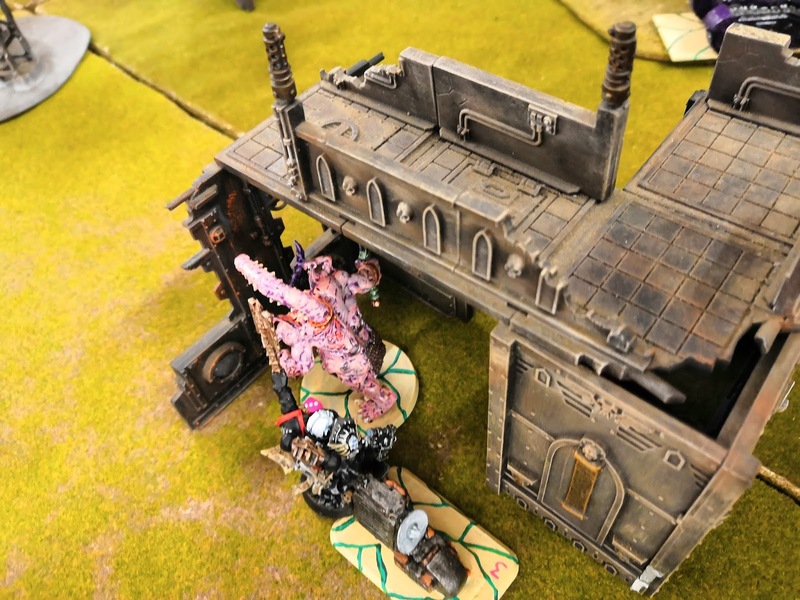 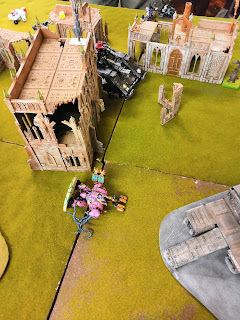 The Terminator fell, but the chaplain was now locked in combat with the gibbering heap of flesh. 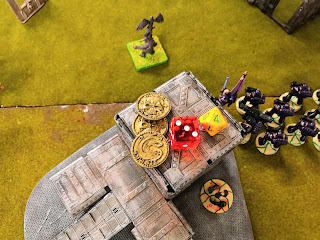 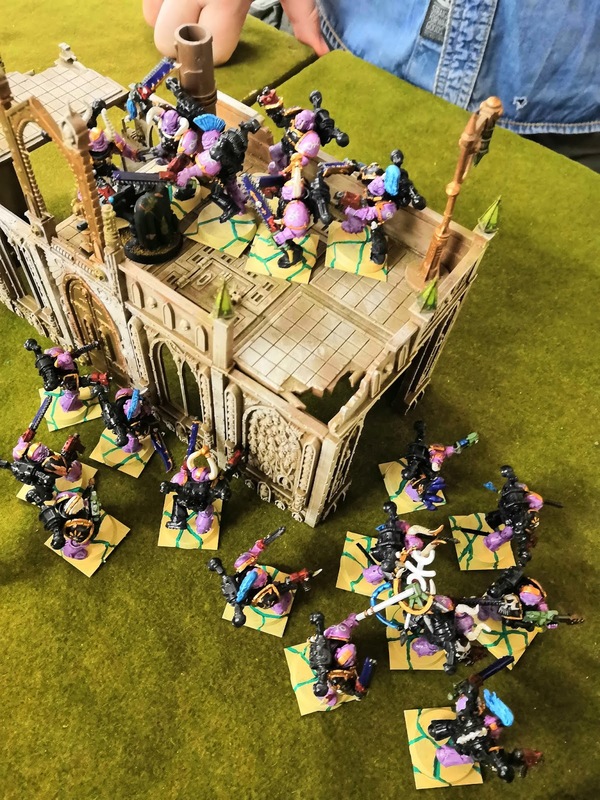 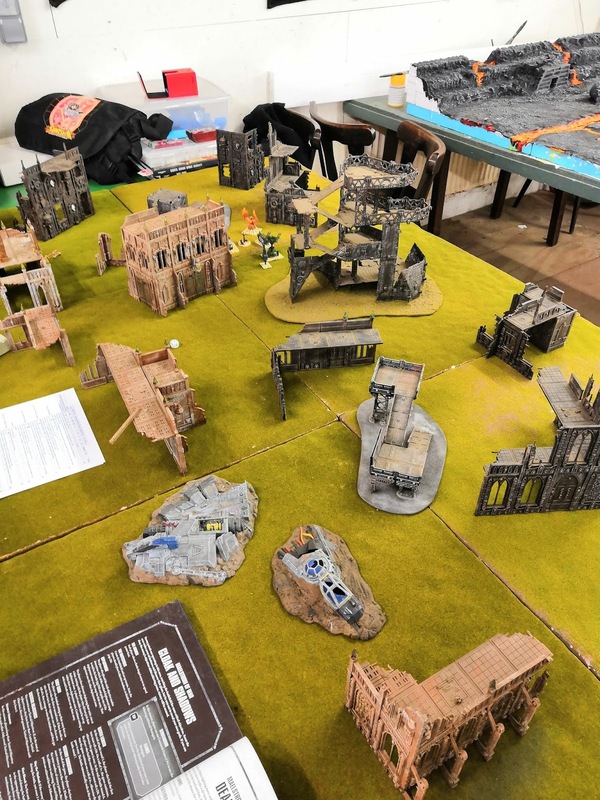 Ironically, the last surviving cultist on the tower completed as a result the Defend Objective 4, and the score was pulled to a 3-4 lead for the Emperor`s Children. 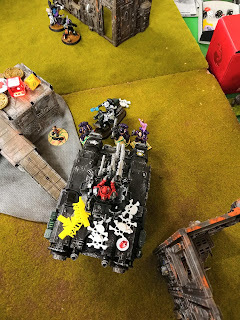 The mighty Repulsor, against which I had nearly nothing to counter to, came on the right flank now, and took down the Dreadnought. 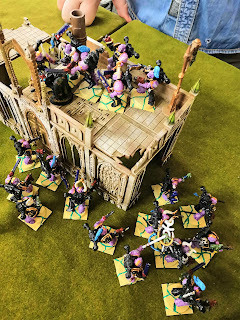 My troops had decided to take the batter part of valour and went into hiding in the various buildings. 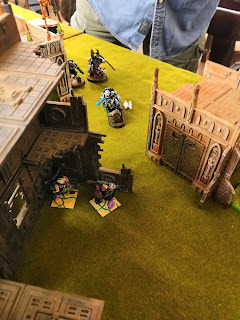 In the meantime the Chaplain fell, and this made sure I scored the Hold the Line this turn, as well as the cultist scoring the... 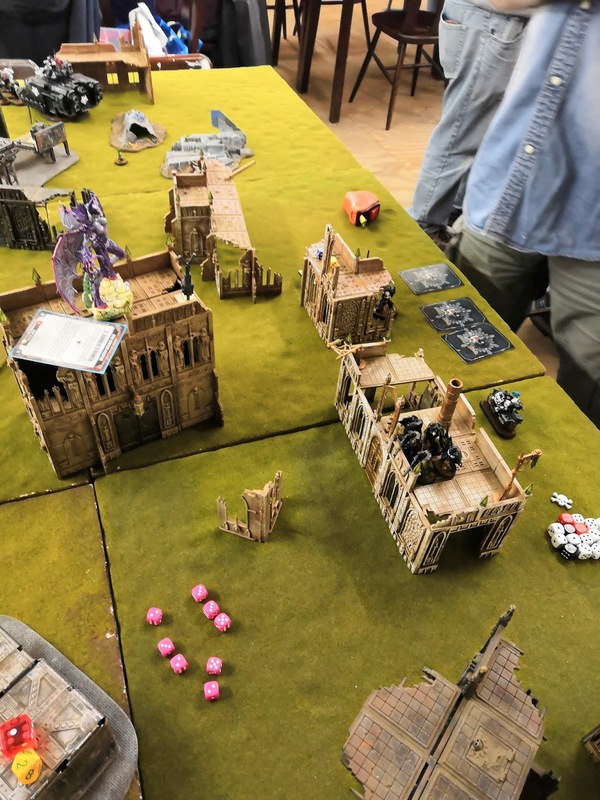 Secure Objective 4. 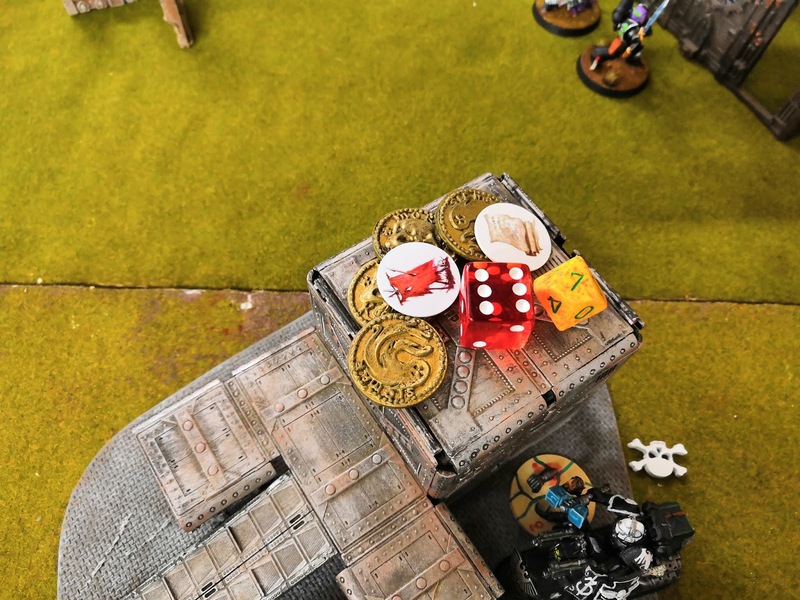 This guy alone scored 3 VP`s over the whole battle, only because Sven didn`t kill that last model off. 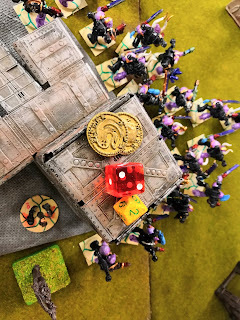 This now pulled the score to a 4 - 7 lead, and I hoped the next turn would be the last. 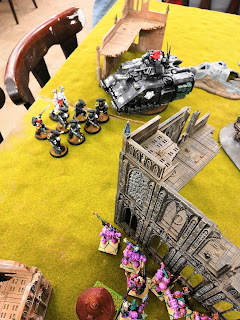 The close combat troops where decimated, and the Captain charged towards them on his bike, making short work of the two flamers that remained of the once mighty unit. 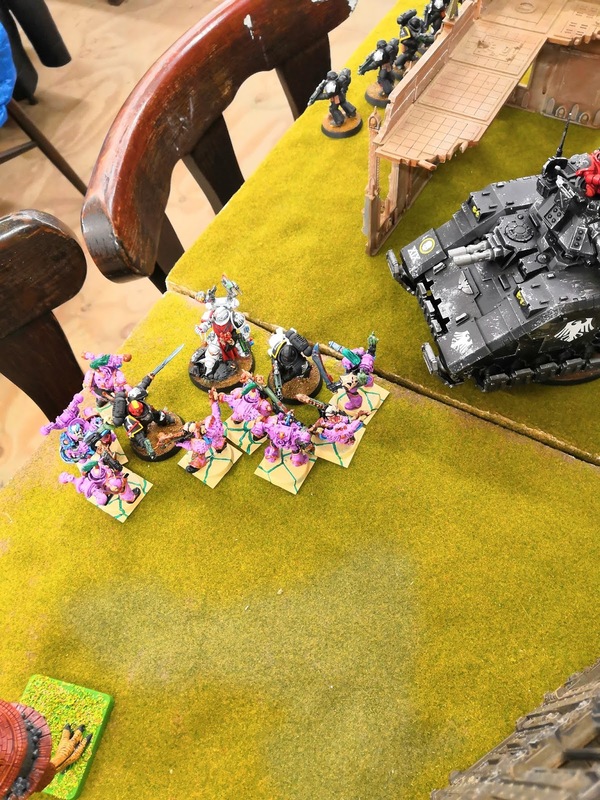 In the meantime, the Repulsor, which I had last managed to get over it`s first treshold, locked my marines in combat. 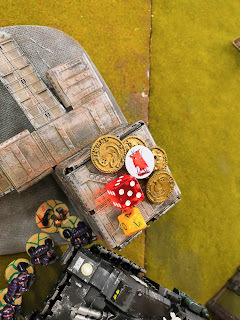 So turn 5 ended, and I was still 5 - 7 in the lead... and the dice came up for another turn. 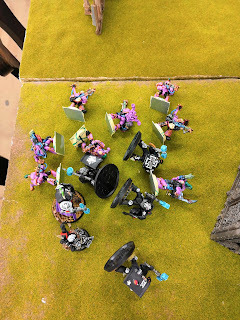 With barely anything left, the Rapiers decimated, but could not finish, his Tactical marines. 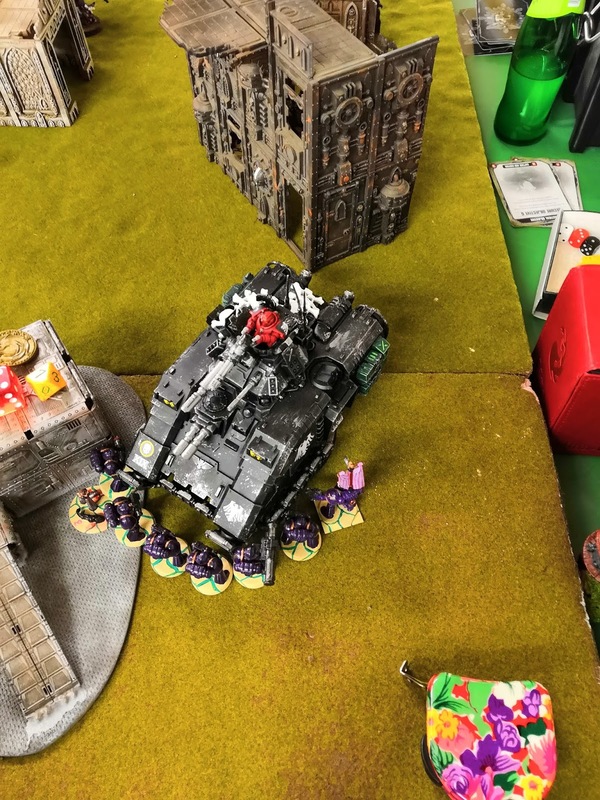 The Repulsor was damaged in combat, but then flew off and the captain rushed into the survivors of the tanks gunfire, felling the last three marines of the squad. It was now 6-7... and luckily the game ended! 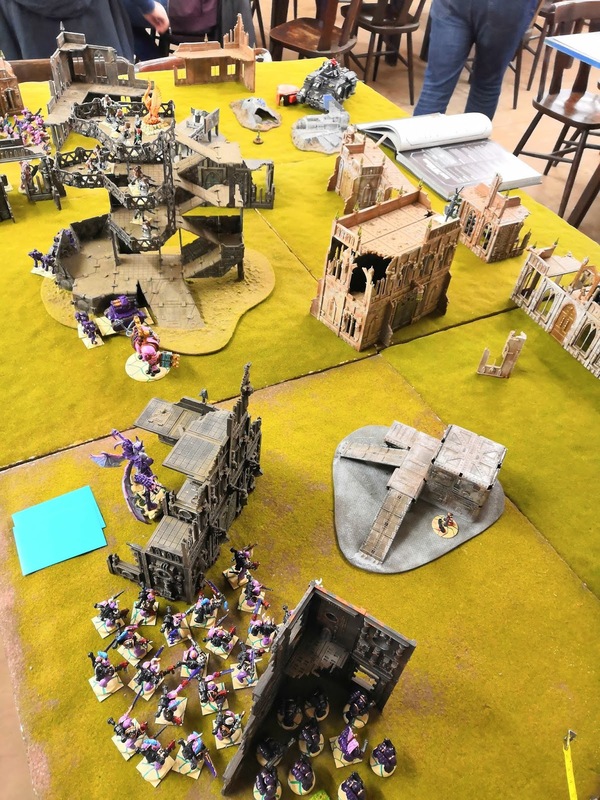 This was a very, very hard fought battle in which I managed to grab victory by the three points of turn 4. 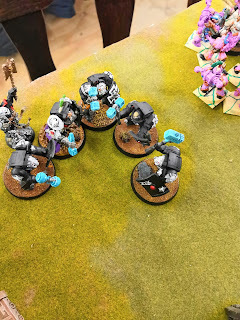 After that, my army crumbled and I doubt it would have lasted one more turn to prevent being tabled, even though Sven had barely anything left as well. 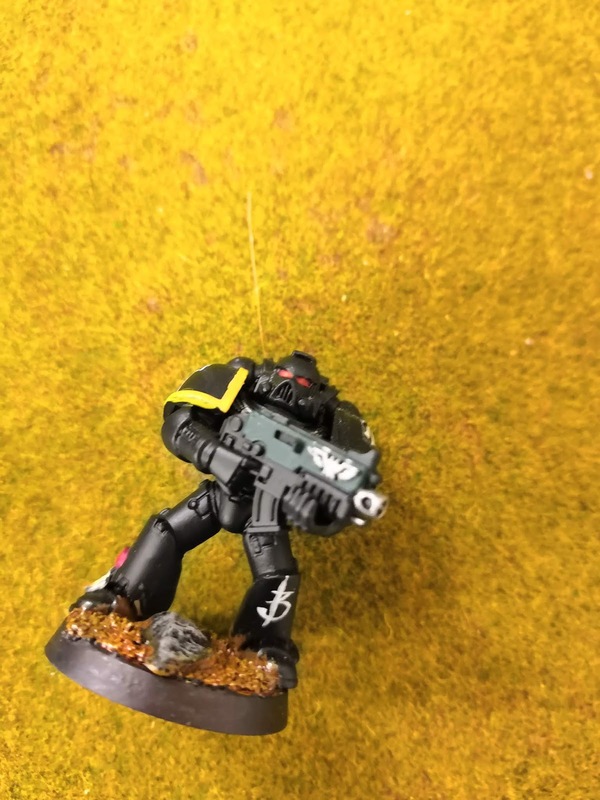 But that means a part will be added to the Altar after all, and I am going to copy one of his bolters as seen here onto the base. 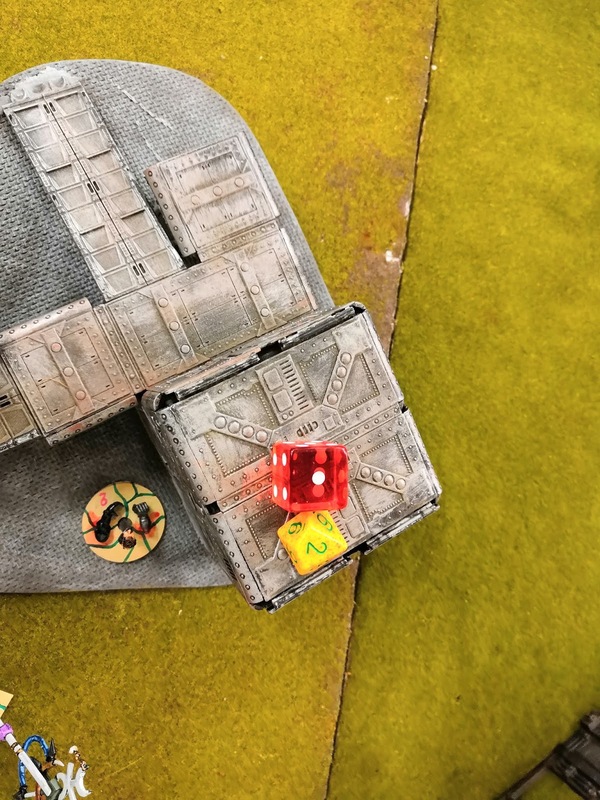 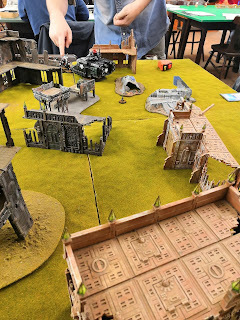 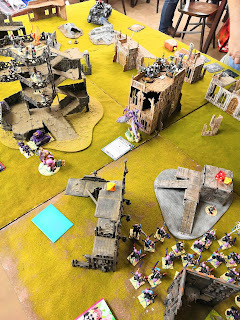 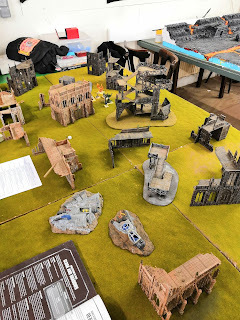 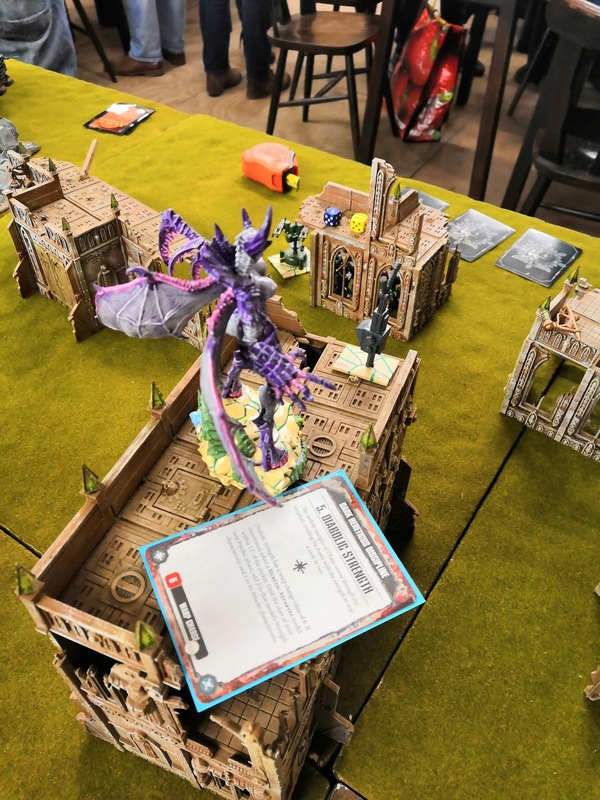 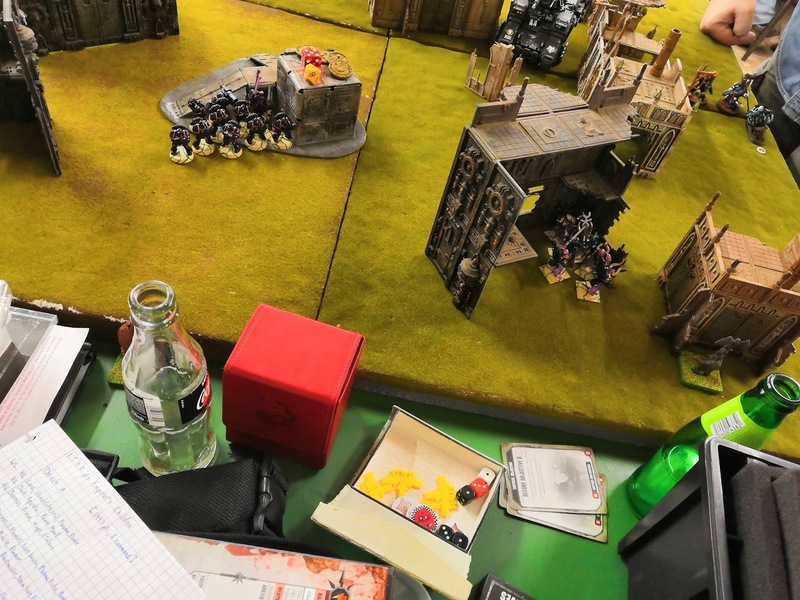 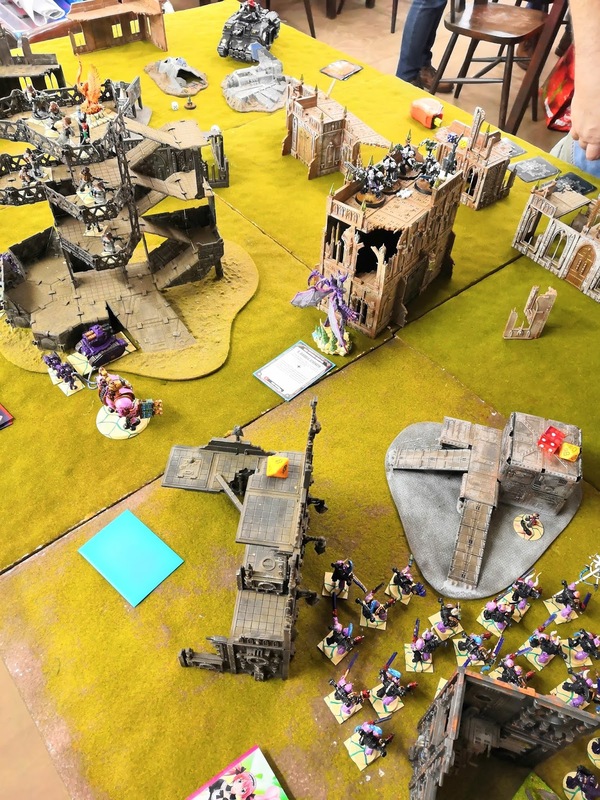 The Beta Bolter: is my Gaming Group stagnant?